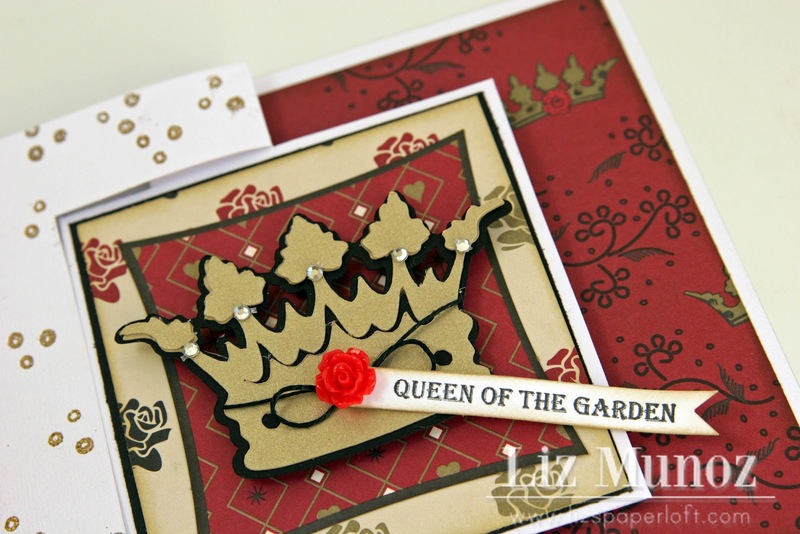 Liz's Paper Loft: Featured Designer ~ Queen Bee Card! Happy Friday my crafty friends! I'm so excited that I get to be a Featured Designer for Jinger Adams and her new craft line again! 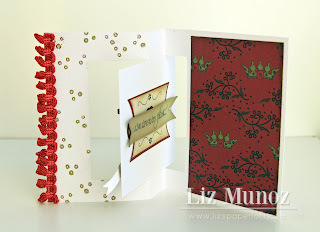 The awesome thing about Jinger's new line is that she has premade card bases! 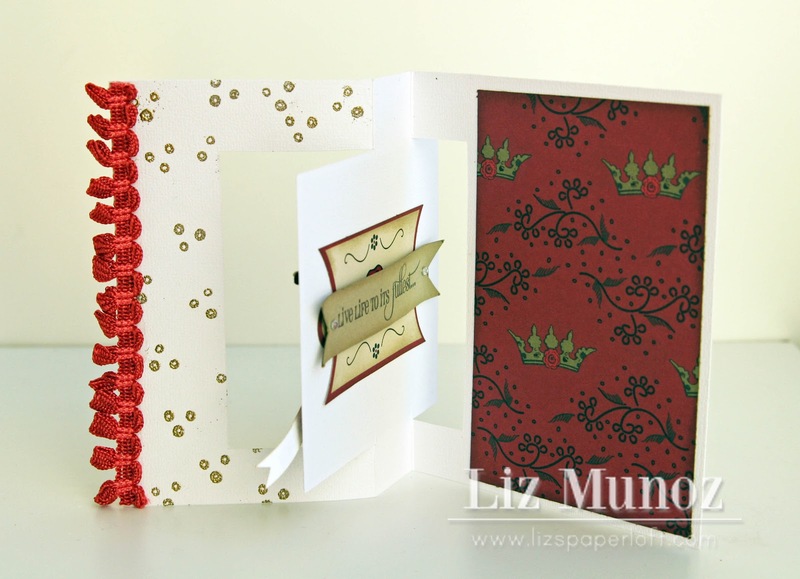 I started this card with a flip card base. 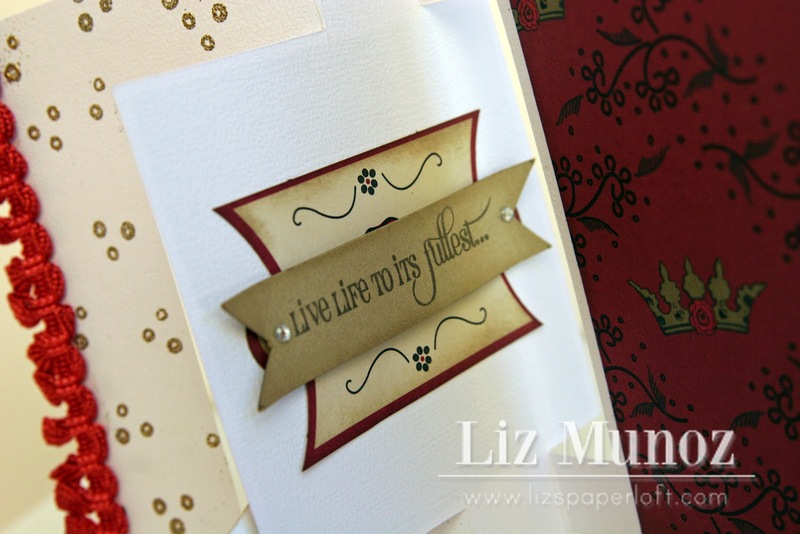 I used gold embossing powder on the the little "dot" stamp. Cut a gold crown with my Cricut, then added a bit of hemp and a small flower, on the stamped "queen" banner. Lastly I added some of the most beautiful trim from Jinger's line on the side! 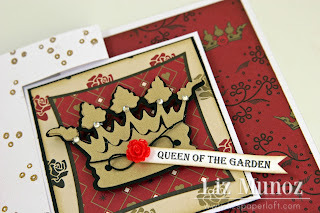 Of course I used Jinger's fabulous die cuts and paper from her Gypsy Queen collection to complete my card! 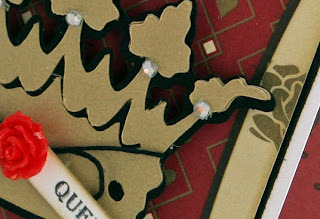 For the flip side I used another die cut and another stamped sentiment with some rhinestones! 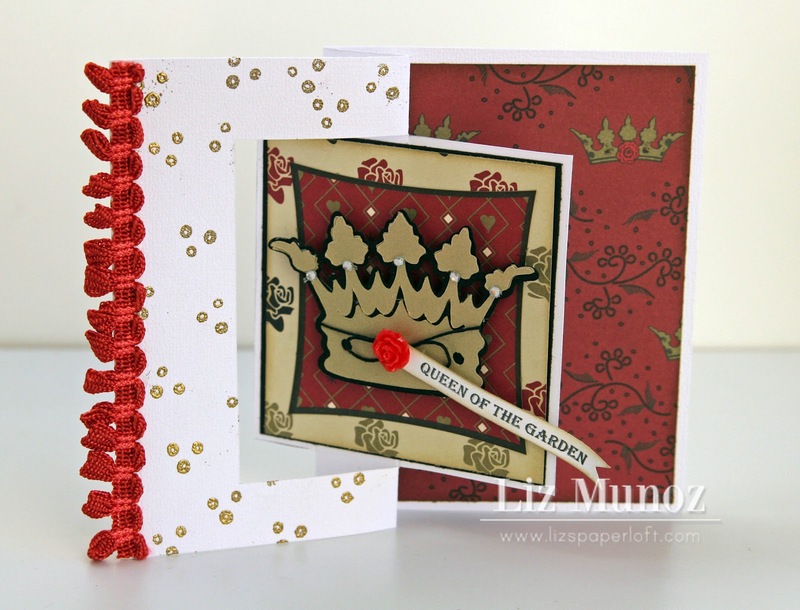 This is sooooo pretty Liz!! 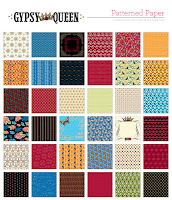 Awesome design and papers!!! 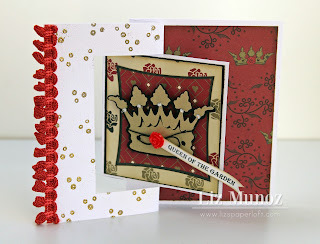 Gorgeous Card Liz!!! Love the design. Have a great weekend.